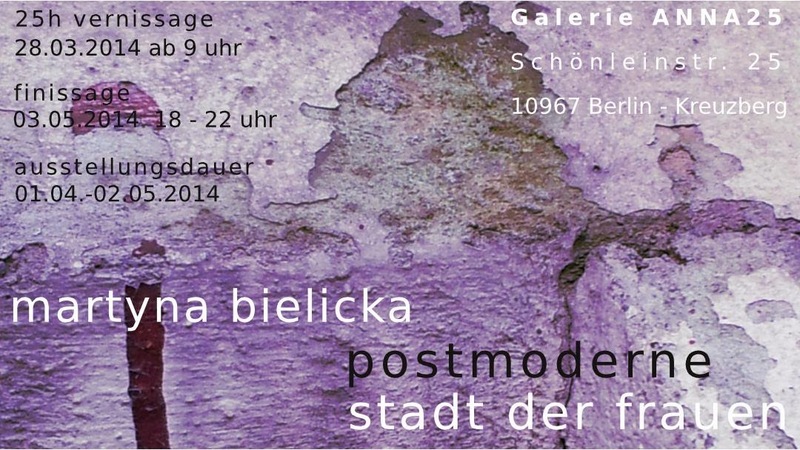 25 hour-long opening of the exhibition: 28th March from 9a.m. The artist will be present during the opening. Closing night – 3rd May from 6p.m. to 10p.m. In her cycle “Postmodern City of Women” Martyna Bielicka tries to solve the problem of the connection between creativity and gender. Through the artistic analysis of biographies and works of women connected with fine arts, culture and dance she pays a homage to every woman who managed to achieve success in the male-dominated artistic world. Her works are inspired by her own experiences and influenced by the artist's research on life of Pina Bausch, Sylvia Plath and many more female artists. Martyna Bielicka shows these inspirations by placing quotations and human silhouettes in her abstract urban landscapes.